← Blending your modern technology with furniture from another century. Mod Podge the drawer fronts. Put the map in place and apply a coat of Mod Podge on top. After a few minutes when it started to dry a little, I used a wooden rolling pin to smooth out bubbles. 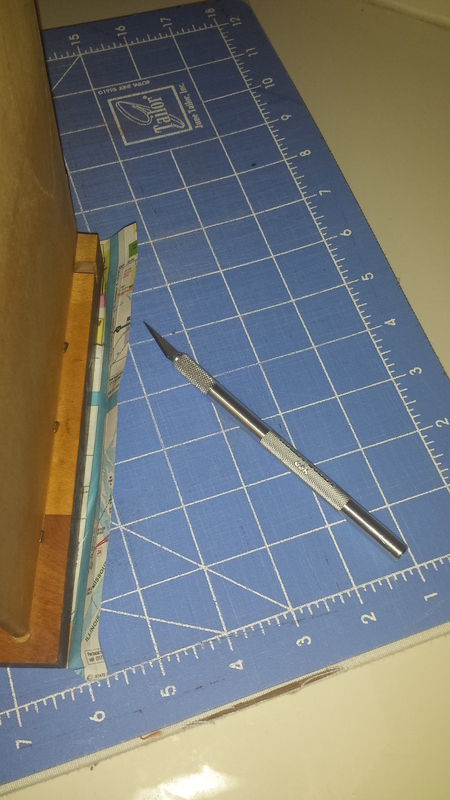 Once it is thoroughly dry trim around the edges like this. I chose this green paint for my sons’ bedroom dresser and night stand. That will be posted soon. Here is another photo to show the shade of this Egyptian Nile. Here it is all finished. Do you think this would just make a kid want to do his homework? Thank you. 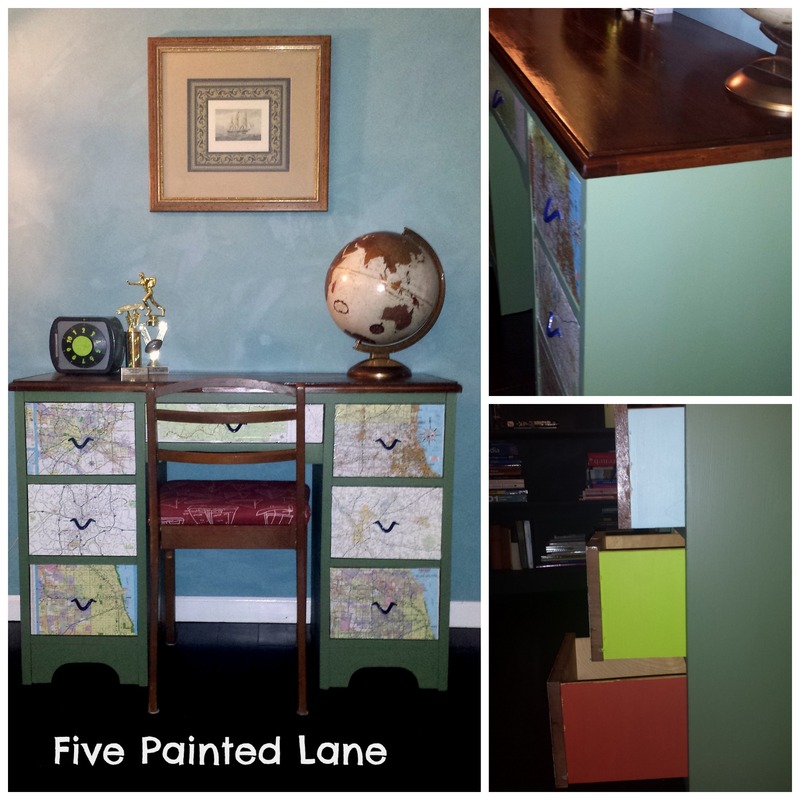 I saw a dresser done this way with maps somewhere on Pinterest and always wanted to do something similar. Thanks for looking. Michelle! So appreciated your sweet comment on my blog earlier – – just had to stop by to say “thanks” and of course, I got sucked into your creative projects. 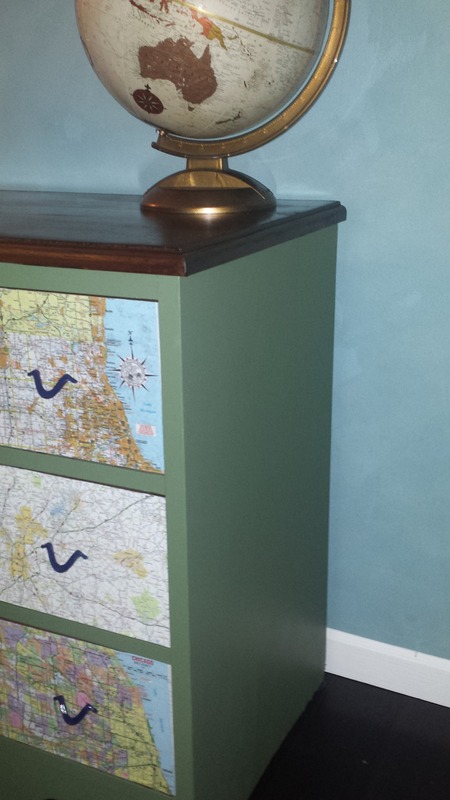 My husband and I LOVE maps as well as refinishing furniture, so this one is a double whammy. YES I’d do homework all day long if I could do it at that desk. Way to go!